Advanced system for smoothing and conditioning cue shafts. Gentle cleaning and burnishing with 4 grades of film. 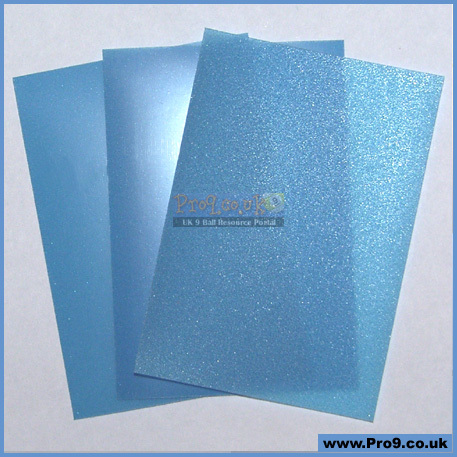 Coarse grained blue papers for initial treatment. 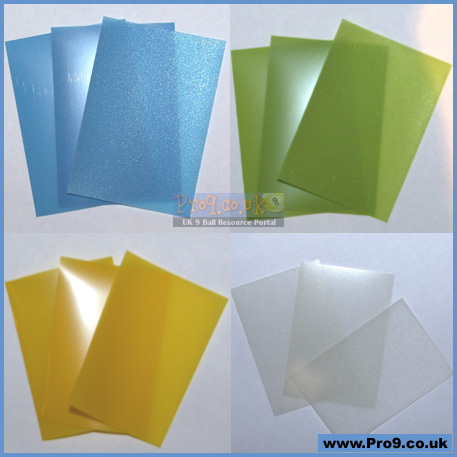 Green and Yellow films for in-game smoothing and polishing. Gentle use will not damage cue shaft. 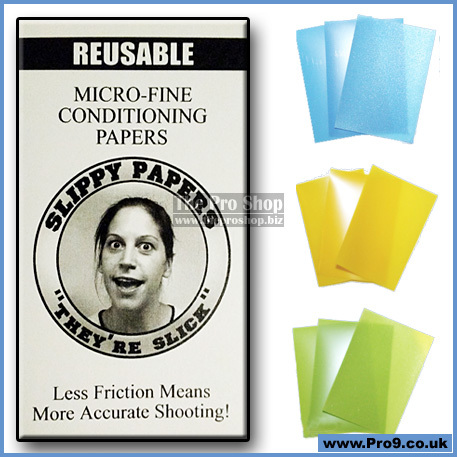 Slips are re-usable and can be cleaned with warm water. 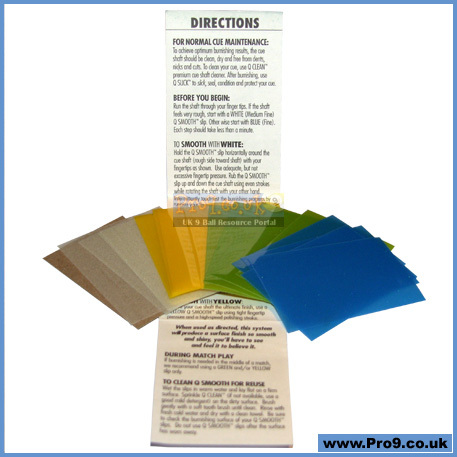 When used as directed, this system will provide a surface so smooth and shiny, you will have to see and feel it to believe it.